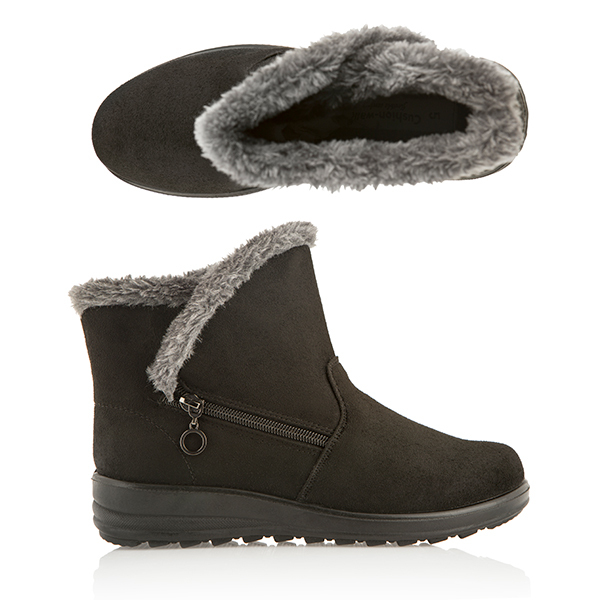 Feel stylish and confident with every step with this pair of Cushion Walk ankle boots, featuring a full faux fur lining to keep your feet cosy as the weather cools and small wedge. Slip on and off with absolute ease thanks to their handy zip fastening, and enjoy full comfort with their lightweight, supportive build. Mix and match with your seasonal wardrobe, as these faux suede boots come in a selection of versatile colours. Wedge Height: 1 ½ inch approx.